Facebook have too many hidden features that common user do not know. 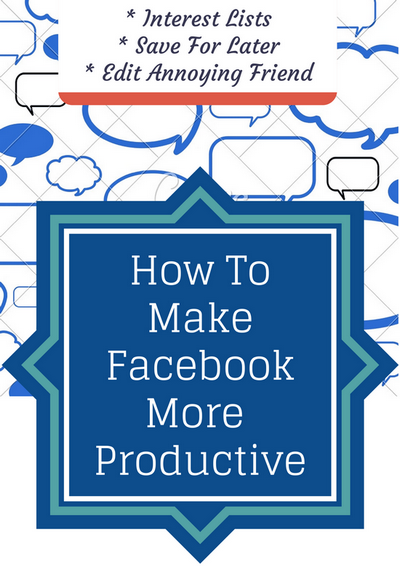 If you use these features, you can make your Facebook experience more productive and interesting. You might be already using some tips, but here are many other features of Facebook you must know that will make you a Facebook power user. Facebook Interest Lists works exactly similar to Twitter lists. You can create list of peoples and pages that you like to get updates from without adding them to your friend list. 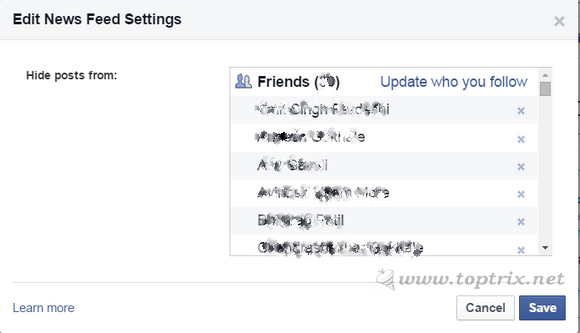 The best part is, you can select whether to show or not the updates form members of the list in to your Facebook feed. This way you can keep your home news feed clean and interesting. If you are 'Following' some peoples without adding them to friends list, you already have the "Pages and Public Figures" list active. If the peoples whom you sent a friend request and they have not accepted and then you followed them are added to this list automatically. By default, all the updates from the pages and peoples you are following are shown in your home news feed. 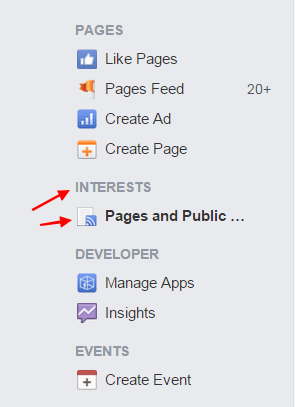 If you do not want to get updates from members of this list shown in your home feed, go to https://www.facebook.com/bookmarks/interests and from 'settings' icon, select 'Archive List' options. Now all the updates from members of list will not be shown in to home feed. If you want to see the updates, go to particular list. All updates are there. You can restore the list back to original to get updates in home feed. Just do the same thing again and select 'Restore' option. You can create as many lists as you want. Easily add members as per the subject. Creation of list and adding related members is very easy. Keep home news feed clean. Facebook decides what is important for you. Not all the updates from your all friend are given equal credit in to your feed. You may miss many updates from your close friends also, if they do not get good interaction from other friends. So always check out both feeds. 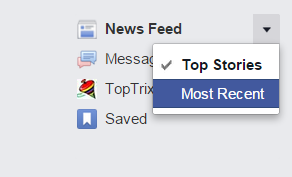 And https://www.facebook.com/?sk=h_nor this is "Top Stories". Before removing peoples from "Hide Posts From" list, let me tell you, how you can add them To make Facebook feed more relevant to your interest, you can hide stories from annoying friends, without removing them from your friend list. You can tell Facebook, what you like and what you don't by taking survey. Also by giving your suggestion about specific posts. 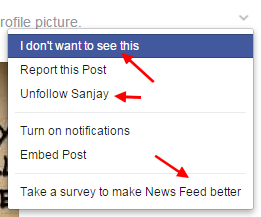 Once you add them to "Hide posts from" list, Facebook will automatically hide or show less updates from such peoples. 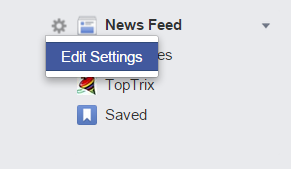 Go to News Feed settings icon and click on 'Edit settings'. Here you can remove peoples form the hiding list. "Save for later" is very useful feature. Its very difficult to find out the interesting post for later reference. There was no any other way to save post for future reference. The "Save for later" option will come to help you. Select "save for later" from post drop-down menu. 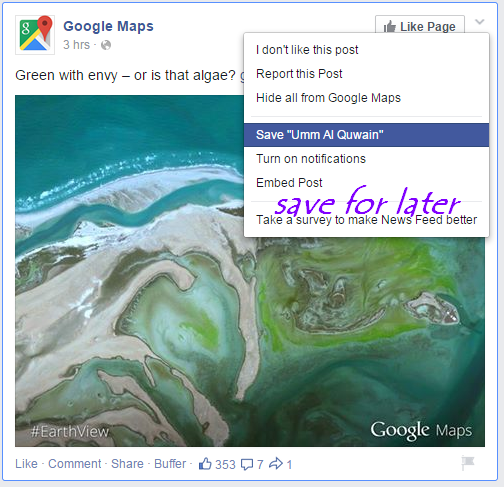 To remove particular post from saved list, click on 'close' button at top right of that post. Removed post will be moved to 'Archive' tab. You can restore the archived post back to saved list if you want from the option. You can not save images for later. Sometimes, you may want to find out where you commented? You have to browse through hundreds of posts to find out specific comment of yours. go to your profile >> Activity log >> Comments. You can put some 'Tags' easily find out by searching. If you have not yet done that, you can consider to add the tag for future reference and searching through your own comments. If you have recently updated your 'Facebook application' on Android mobile, you may have observed that, Facebook app now opens the links from posts inside the application and do not call the phone external or default browser like AOSP browser or Chrome. Have you seen this notification? 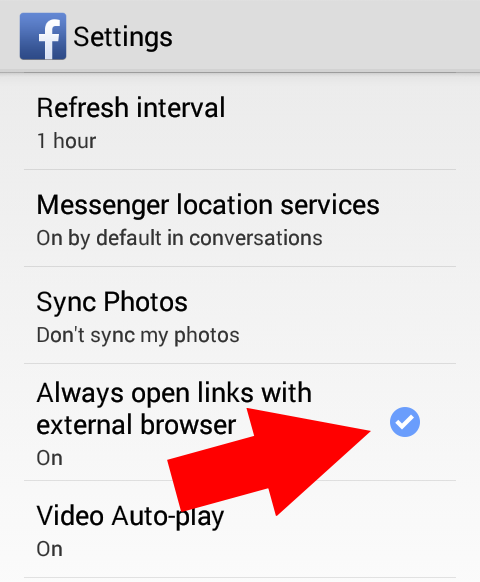 go to App settings >> and select " always open links with external browser" option. There are may other rarely used Facebook features and tricks you should try to make the Facebook experience more productive and interesting. What else latest feature you know? Please leave a reply.